While Ole Gunnar Solskjaer has all but ruled out any potential incomings this January transfer window, there is one potential wildcard. 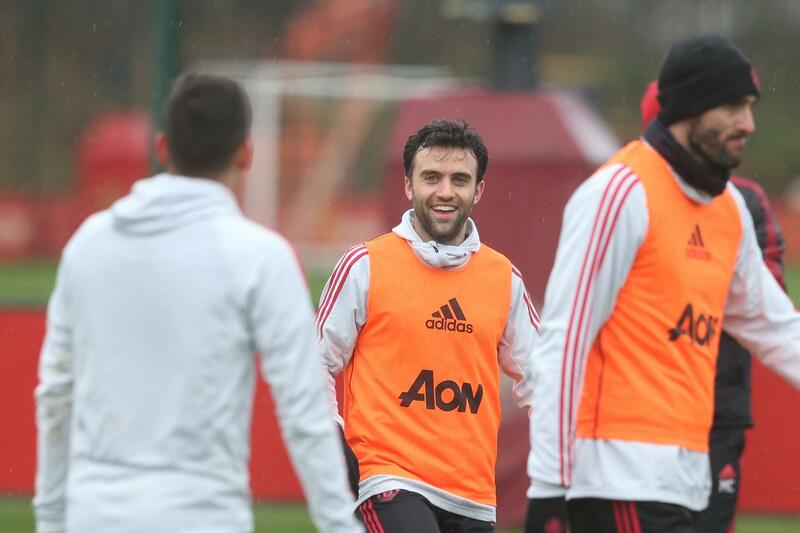 A team-mate in the Norwegians latter days at Old Trafford, Giuseppe Rossi has returned to Manchester United on a train-only basis; but is he worth a punt? Followers of the club’s youth side will remember fondly, the partnership he and Sylvain Ebanks-Blake struck up in the reserves – he even made a handful of first team appearances under Sir Alex Ferguson. His return has left some wondering what might have been, but for his injuries. Cast your mind back to October 2005, Rossi has made an immediate mark at the club, similarly to Marcus Rashford back in 2016. He strikes the third goal in a 3-1 win away at Sunderland, his second for the club. Rossi makes only four more appearances in the league that season, the last of which was 90 minutes at Old Trafford. However, it was the cup competitions in which he flourished. Although not in the squad for the final win over Wigan Athletic, Rossi played three games on the way to the final, even notching a goal in front of the Old Trafford faithful in a 4-1 home win over Barnet, add that to a couple more against Burton Albion and you have a pretty decent return. The following season saw contrasting loan spells for the American-born Italian. An unsuccessful spell at Newcastle United was ended, before he kept Parma in Serie A, with an impressive nine goals in 19 outings for his ex-youth employers. But Rossi’s association with the Red Devils ended upon his return from that particular loan spell. The 21-year-old was disgruntled with a lack of first-team games, and so upped-sticks to Spain, where the most successful period of his career began. 82 goals in 192 games over five seasons saw Rossi enter Villarreal folklore. However, it was while at the Spanish side where he met another familiar foe, apart from the back of the net, it was the treatment room. Three goals in the first ten La Liga games represented another good start for the born goalscorer, but in a 3-0 loss to Real Madrid in late 2011, Villarreal had a concern greater than the result. It was the news that their talisman, a man who had 27 Italian national caps to his name as well as impressive La Liga goal hauls, all by the age of 24, would be out for six months, it wasn’t six though. He re-injured his knee in his comeback and remained out a further ten months. As it transpired, Villarreal – European regulars, who had finished second only a few years prior – were relegated to the second tier of Spanish football. Without Rossi’s goals, they were never the same force, and that fateful day at the Bernabeu were Rossi’s last moments in a yellow shirt. He failed to play again for the club, and in January 2013 he made the move to Fiorentina. But for all the talent, they were taking a massive risk on a player who suffered two major injuries, which even the best struggle to recover from. That’s why when he did make a cameo appearance on the final day of the 2012/13 season, it was a joy to behold for all. The first-half of the 2013/14 season seemed to be a case of old habits returning for the ex-United man. 14 goals in 18 Serie A appearances was a welcome sight. He’d even earned a recall to the national side. However, injury reared its ugly head again. A 1-0 win over Livorno was clouded with another Rossi injury. He suffered a second-degree sprain of his medial collateral ligament in his right knee, the tackle that caused the injury received international condemnation. Rossi’s hard work and determination were all in vain. Viola’s season could have collapsed, but Rossi made his return once more, scoring two goals in the final three games to help Fiorentina finish fourth in Serie A. He had done it again, this young man, with amazing mental and physical strength, had come back from another career-threatening injury. At the age of 27, you would consider strikers to be reaching somewhere around their peak. Ahead of the 2014/15 season, Rossi will have been undoubtedly confident of picking up where he left off. Yet again though, it seemed too good to be true. A pre-season, which by all accounts, was going pretty well, ended in horrific but seemingly typical circumstances. It had happened again, a fourth major knee injury left many wondering if Rossi had the capability to return once again. He spent the entire 2014/15 season on the sidelines, despite the fact the initial diagnosis predicted only four or five months. In his absence, Fiorentina managed another fourth-placed finish, but Rossi was determined not to be the forgotten man. He made an all-too-familiar return from injury in August 2015. However his form was apparently missing, the goals had dried up. He had only two goals in 16 appearances to show for his work, so the club sanctioned a loan move to Levante, six goals in 17 league games wasn’t enough to keep the club in the top-flight, and not enough to earn Rossi a place in Italy’s Euro 2016 squad. Rossi had another crack at La Liga, this time with Celta Vigo. Although not his usual prolific self, Rossi was playing well and scoring the odd goal, but in April 2016 he perhaps became the unluckiest player on the planet. Before his 30th birthday, Rossi had been struck with a fifth major injury. Fiorentina let him go, and he rejected an offer to stay at Celta for a further six months. In December 2017 he joined Genoa, and but for the odd niggle, and hamstring strain he remained relatively injury free, and his solitary goal ironically came against Fiorentina. However, he was released by Genoa at the end of last season and remains a free agent. Upon Solskjaer’s arrival, he has allowed Rossi to continue his rehabilitation at the club, and Rossi has already spoken in great length about his return. He told the club website: “It’s just good to be back with the guys and be back in this environment, which I tasted 14 years ago when I first arrived”. He continued: “I mean the gesture from the team, from Ole and from everybody else, having me back is just something beautiful”. A lot of teams need strikers at the moment. Crystal Palace have been ravaged by injuries, Tottenham have lost Harry Kane and Heung-Min Son and Huddersfield are struggling for goals, yet Rossi remains coy. However, could the former frontman make a sensational return to the club? The forward line already features the likes of Alexis Sanchez, Anthony Martial, Marcus Rashford and Romelu Lukaku, but could Rossi be a fifth choice across the front three? Sentimentally, it would be a no-brainer, but despite Solskjaer’s good guy persona, it doesn’t strike as the type of thing he would do. But would it be worth giving him a six-month deal – just to prove himself?